As a self- proclaimed Studio Ghibli nut, the Ghibli Museum in Mitaka, Tokyo has got to be one of my favorite places in the world. It's a magical and heartfelt place anyone can enjoy even if you don't believe in Totoro. Unlike the usual commercialized theme parks which are built upon revenue, the Ghibli Musuem clearly stays true to the visions of Miyazaki-sensei with the sole purpose to inspire, educate, and entertain. The scale of the museum would not be considered large according to traditional standards, but every panel of the wooden floor, every curve of the craftsman metal, and every piece of the stained glass windows is made and placed with precision, intention, and lots of love. It's very much a reflection of Studio Ghibli films. The experience of traveling to the Ghibli Museum has always been very special to me as well. From the moment I step on the train to Mitaka, I try to do things to prepare myself for the special visit. To intensify the experience, I listen to soundtracks of past Studio Ghibli films by Joe Hisaishi along the way. As a result, my favorite scenes from each film appear as a slideshow in my mind. This way I'm emotionally prepared as I reach the front entrance and ready to fully appreciate all the wonderful things the Ghibli Museum has to offer. There's no photography allowed inside because Miyazaki-sensei wanted the Ghibli Museum to be a place where kids can explore freely and not have to stop for photo ops from parents. I might be biased, but I think that's the best thing ever. So for the first time on this trip, I decided to bring along my sketchbook and try to document this personal experience with some messy lines. My sketches don't do any justice to the magic of the Ghibli Museum, but hopefully they will spark some interest in exploring this incredible place for you. Take the Chuo Sobu Line and get off on Mitaka. Now it's the time to put on your headphones and press play for Studio Ghibli soundtracks. A short ride to Mitaka from Shinjuku Station takes about 20min. Enjoy the view, think about your favorite Ghibli films, and look out for the Catbus. Guide Map at Mitaka Station. You are at the red arrow in the lower left hand corner. Go north on "The Walk Way of a Wind" towards the park either by shuttle or walk. I recommend walking. It's about a 15 minute walk, but a very nice one. It'll give you time to appreciate the city and to reminisce a bit more. Ghibli Museum Mitaka is the purple building on the upper right hand corner sitting non-intrusively inside the park. Walking up on "The Walk Way of a Wind" accompanied by a roll of magnificent trees on a river bank. At the end of "The Walk Way of a Wind". Make a right and follow the sign. You're almost there! When you see the Laputa robot and hear laughter from children, take a deep breath because you've arrived. A fantastical fort guarded by a robot quietly tucked away and covered in lots of green. Main entrance to museum. Get your ticket ready and last chance to snap some shots. First look at the inside of the Ghibli Museum. This is the main hall, an open space filled with warmth and comfort with a glass roof. You'll find steampunk contraptions, tiny passage ways, wooden and metal spiral staircases, free-standing bridge, glass elevator, massive propeller fan, and gorgeous stained glass windows of Studio Ghibli characters. It's a breathtaking space. Inside the Cinema Saturno. Submarine windows on the side close up as the movie is about to start. Fans of all ages snuggle up to each other in excitement. My favorite display in my favorite room in the museum. The "Bouncing Totoro" zoetrope is always a crowd pleaser emitting magic with every flash of the light. You have to see it for yourself. A special exhibition currently on display called "The View from the Cat Bus" where adults get to ride the cat bus and look out to amazing background paintings through the windows. Exhibition also included a life-size food stand from Spirited Away and model of Yakul from Princess Mononoke. The kids cat bus takes you out of the museum. Remember to go up the staircase to greet the robot guardian. The Boshi(hat) Cafe! A MUST! Cafe waiting area comes with children's books for the little ones. So cute. Inside the Boshi Cafe. Not sure if I were supposed to take pictures inside, but as you can see, it's fantastic. The "Here Comes the Sun" Sundae on the second visit. The Boshi Cafe doesn't only offer quality in food, but in service as well. My friends and I were looking for a specific place to go to after the museum so we decided to ask our lovely server. At the end, she not only went on their staff computer and looked up the exact place for us, she also printed it out for us with a big smile. Honestly, I was really moved by this. I've never been treated with such great enthusiasm at a restaurant before. In gratitude, I did a quick sketch of her and gave it to her as our token of appreciation. She was surprised and seemed very happy about the sketch. She also kept insisting it was the least she could do for us and hoped we had a good time. Also, stay tuned for my Ghibli Goodie Giveaway of exclusive Ghibli Museum products for the true fan! 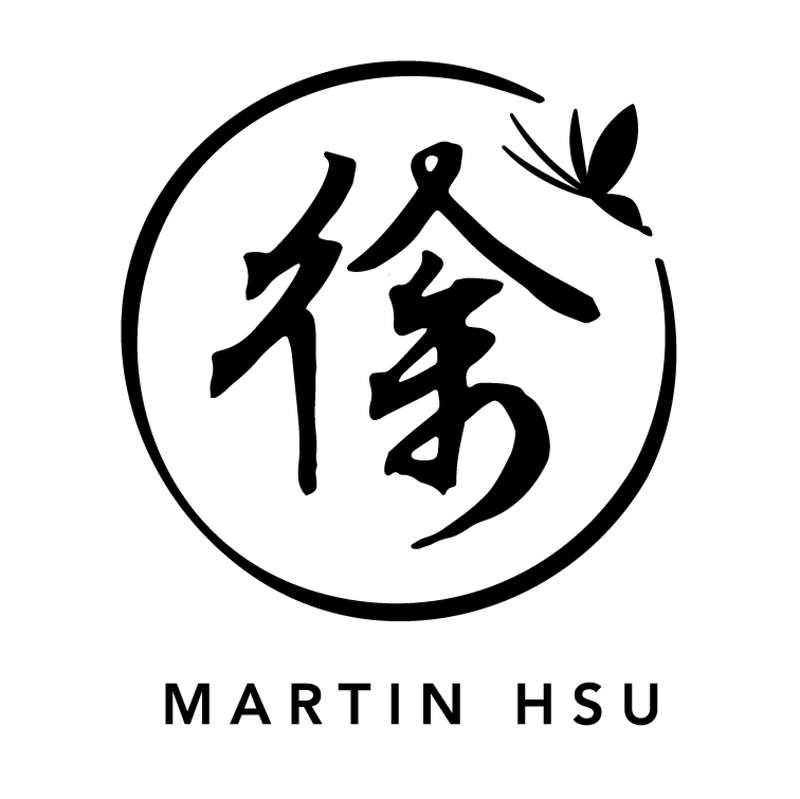 Join the Martin Hsu Art Facebook page for updates soon!